“Threshold for what.. “ , the man stopped saying as he saw multiple possibilities revolve around him like doors of various shape and colours. God smiled at his creation. What would the man do without a decent imagination? 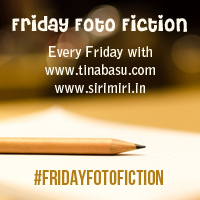 My previous short fiction posts are here.